Lovers And Technology is a special mixtape of tracks from the archives of the Mad Professor and his Ariwa label, which you can download for free here. There is also a special Lovers And Technology edition of Your Heart Out to download (and print off) free for all here which near the beginning refers to a Channel 4 TV programme Black On Black which featured Ranking Ann and Lorna Gee. I featured this clip during The London Nobody Sings but it is such an inspiring piece of film I have to share it again. There is also an invaluable piece of footage from 1984 of Ranking Ann performing A Slice of English Toast at a live Ariwa showcase in Birmingham. "This was all fields once ..."
The festive season's musical accompaniment has unexpectedly been provided almost exclusively by The Hardy Tree’s The Fields Lie Sleeping Underneath, a last minute treat for myself . It’s not often I buy a new record on impulse, but I had to have this one after seeing a tip-off by the excellent House of Superflake. That ‘pitch’ was almost enough to put me off. For while the sound assemblage scene of Ghost Box and its extended family has been one of the most appealing areas of activity in recent years, I’ve got to the stage where I’ll scream if I see another reference to gentlemanly ghost stories, sound lab technicians, Arthur Machen or John Wyndham. The Hardy Tree record, thankfully, evokes a whole other set of references. I hasten to add these are just my responses but I am reminded more of Stevie Smith, E.S. Nesbit, and a certain principled, stubborn independence and genteel poverty that characterises a brand of English eccentricity captured perfectly in the blitz memoir Few Eggs and No Oranges: The Diaries of Vere Hodgson 1940-45 which is an essential read published by Persephone. 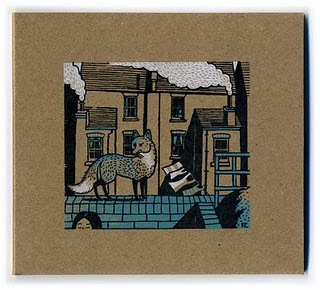 I instantly felt a sort of emotional engagement with this CD in a way I haven’t with a lot of sound assemblage work. It’s rather like when I first heard Colleen’s Everyone Alive Wants Answers for the first time, and was swept away. The Hardy Tree with its suggestion of junk shop instrumentation, strains of scratched light classical charity shop LPs, and lopsided lullabies is a little in the tradition of the Raincoats and Pram. It also has a strong London theme, conjuring up a lost local London lore I would have loved to include in The London Nobody Sings ... It’s a London whose story is perhaps undocumented in the current vogue for urban psychogeography, but it’s one that fascinates me and is only known now by resilient elderly ladies who’ve always lived in a certain location and remember ‘when it was all fields around here’ and know all about the tea shops in the woods The Hardy Tree so brilliantly evokes. During the festive period over at Anywhere Else But Here Today there are a few Arabic interpretations of Christmas carols which I hope you'll agree are extraordinarily beautiful. It's not my favourite time of year, but momentarily swallowing my humbug I would like to take this opportunity to thank all the people who have supported the various YHO projects. I would particularly like to thank those that have helped in any way with my fumblings and stumblings, especially Per-Christian Hille for his fantastic series of mixtape covers. I'll leave you with an Andalucian carol chosen by Elena from the Occultation Records family, who helped make our Spanish sequence so much fun. Lovers And Technology is a special mixtape of tracks from the archives of the Mad Professor and his Ariwa label, which you can download for free here. It is a very personal selection, and therefore not necessarily representative. But if, by any chance, you're not an authority of UK reggae from the '80s/'90s then hopefully the tracks here will inspire you to go out and stock up on Ariwa's astonishing achievements. The Your Heart Out projects have covered a lot of ground this year, so it's appropriate we end the year close to home. Many of these tracks will have been recorded in the Mad Professor's studio very close to where my parents were married a long, long time ago. The church and the studio are long gone, but the music is very much alive so let's celebrate it. 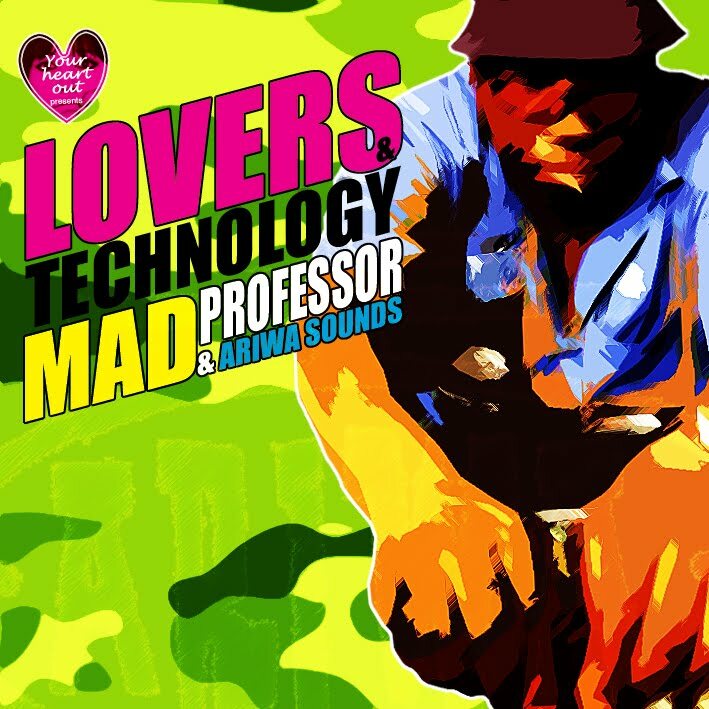 Naturally, there is a special Lovers And Technology edition of Your Heart Out to download (and print off) free for all here. I love it when great pop music springs from unlikely sources. And I have to admit the Israeli Defence Forces (IDF) is a surprising source, but hopefully the series of clips featured as part of the Anywhere But Here Today project will be a revelation, especially if like me your knowledge of Israeli pop music is limited or maybe extends only as far as Esther & Abi Ofarim. The clips are all from the late ‘60s and early ‘70s and are made by army groups formed of young people doing their compulsory national service. The Israeli tradition of military music groups is a long established one, but during this timeframe things got interesting as ‘rock’ elements began to creep into the sound. Well, that’s ‘rock’ in a very loose sense as there will be a lot here to appeal to fans of the Free Design, Swingle Singers, bossa nova, choral, easy listening pop music. I guess some may feel a slight unease at featuring ‘military’ oriented Israeli music, but it is worth remembering these were young people doing their national service. I know that even in this music there were subversive messages promoting peace. The army groups also were a valuable apprenticeship for many artists who would go on to become successful as the individual replaced the collective approach. These clips remind me of how in very different times when I was a kid it was quite a cool thing for ‘right on’ young people to travel to Israel and volunteer to work on a kibbutz as part of a socialist/collectivist back-to-the-land ideal. In fact there is something of an overlap between the army groups and the collective settlement idea. The Nahal Band (or Lahakat HaNahal) which is responsible for a number of the stunningly beautiful clips featured comes from the Nahal (which is, I believe, the Hebrew word for stream though in this case it is an acronym – just to confuse Google translations!) military tradition of developing settlements. This helps explain the gorgeous song about the Nahal settlement in Sinai, which is one of my particular favourites and makes me think of Nancy Sinatra’s This Town transported to a kibbutz. Osibisa. Hamilton Bohannon. Odyssey. Talking Heads. PiL. Slits. Ze Records. Burundi Beat. Rough Trade’s Soweto compilation. John Peel gleefully playing the glorious sounds of Bhundu Boys, Four Brothers, Kanda Bongo Man, and so on. These were all factors in waking me up to the music of Africa. One other major milestone was a special report on “Juju, Afrobeat and Highlife” in the April 1981 edition of The Face where I first came across the names of Fela Kuti and King Sunny Ade if not their music, thus sowing some important seeds. My curiosity was aroused. And the feature, by Peter Murphy, is an excellent one. Oddly that edition of The Face is one of the few I managed to keep hold of down the years. It has Adam Ant on the cover, and also mentioned on the front page are The Beat, Polecats, Gang of Four, Selecter, Delta 5, Bush Tetras, Lounge Lizards, and Aswad. Impressive! So, yeah it’s a relief that it’s not just rosy-eyed romanticism that makes me remember The Face of that era very fondly. The interesting thing about this edition, in the context of ‘80s revisionism, is that it was issued just as we were entering the glossy optimism of the so-called ‘new pop’ era. And yet there is little sign of all that in this issue of The Face. Indeed its tone is rather grumpy. Delta 5 are struggling to make ends meet, The Beat are weary, Aswad are bitter, The Selecter are disillusioned, the Gang of Four critical. It’s a time of transition. Jon ‘Britpop’ Savage is scathing about the ‘Blitz kids’. Robert Elms on the other hand enthuses about Defunkt and the Lounge Lizards. Neil Norman raves about Cassavetes’ Gloria. Ray Lowry pokes fun at Julian Cope. And a future leading Labour politician complains at length on the letters page about an unfair Elvis Costello review by Geoff Deane. There is even a nice mention for Manicured Noise and an ad for The Ultimate Action. The star of the show though is Julie Burchill, and my how the world has revolved in some strange ways since those days. I know what became of her. But she really was on top of her game back then, and her monthly ‘pop’ column was an essential read. In this one she has a go at the world, with a few exceptions like Girlschool/Motorhead, Dept. S, and Talking Heads. She suggests: “Hear Stalin Wasn’t Stalling by Robert Wyatt – Ilya Ehrenburg makes contact with the fantasy Phil Spector in Red Square. Read some of A.J.P. Taylor’s writing on the Second World War. Support Shakin’ Stevens, a fellow traveller. Find out about Kim Philby and the Spanish Civil War – you’ll be thrilled in a way you’ve never been thrilled before, I swear. Buy all John Lydon’s records – don’t do the dirty on him and desert him, because he’s the one who gave this country’s spirit the kiss of life and helped you be as smart as you are. Read the Old Testament and vote Labour.” It was all quite exciting in 1981. I have to confess that when I started the Anywhere Else But Here project I made a conscious decision to steer clear of African posts. This was because at the time we seemed to be drowning in African sounds. The market was alive with highly desirable compilations of old salvaged sounds from Ethiopia and Nigeria. There were suddenly all sorts of collections to choose from: afro funk, afro beat, afro rock, afro disco. And the world of blogging was awash with wonderful, lost African LPs and mixes of rare 45s. It was almost too good to be true, and in the true spirit of a kid let loose in a sweet shop I over-indulged. Bizarrely it was a bit of controversy about an Ariel Pink track that accidentally led me back to the Ethiopian sounds. But before that I fell totally in love with Algerian music, which is of course just as much about Africa as, say, Nigeria. And as I renewed an affection for rai sounds it was also during the Algerian sequence that I came to realise that I liked a lot of the more traditional pop as much as the more directly western influenced shall we say funkier music. And yet the funky stuff has an eternal appeal. Certainly there is an incredible amount of fantastic funky African music out there to discover, regardless of how many compilations and blogs there are. In fact I am still in awe of all the people out there who know so much more about all this wonderful music than I do. 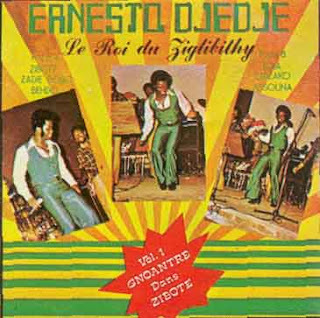 I, for example, knew absolutely nothing about Ernesto Djédjé and his music before I stumbled across a series of clips of him performing on YouTube. I can’t say I know a lot more about his work now apart than the fact that he was the king of ziglibithy, a musical form he pioneered back home in the Ivory Coast before his untimely death in 1983. I hope that the handful of clips that are included over at Anywhere Else But Here Today seize your imagination in the same way they have mine. And if you come across a copy of his best known LP Le Roi du Ziglibithy from 1977 then do not hesitate to investigate. It’s a wonderful, wonderful thing. As part of a tribute to Ari Up on his website Jon Savage wrote: “Very little in popular culture has ever approached this ferocity, and certainly almost nothing by young women. The things that then we took for granted now seem like the actions of a few, very brave (and/or foolhardy) young musicians ...” I love the Slits, and I understand what Jon means. The language, however, seemed absurdly incongruous having just finished reading Michela Wrong’s I Didn’t Do It For You and Amrit Wilson’s The Challenge Road: Women And The Eritrean Revolution. Is bravery kicking up a fuss in front of a hall full of The Clash’s fans? Or is it leaving your family and home to join up with fighters in Eritrea’s mountain regions to participate fully in the struggle against Ethiopia’s occupation of your country? I confess I would ordinarily be likely to read more about the Slits’ adventures close to home than modern African history. But the clips of Eritrean revolutionary songs which I had been posting as part of the Anywhere Else But Here Today project had really captured my imagination. I was ashamed that I knew next to nothing about Eritrea and its revolution, while simultaneously finding these pieces of film so incredibly inspiring and uplifting. Very simply, these clips fired me up as much as, say, old footage of the Voices Of East Harlem or yeah the Slits. So I started reading up on my Eritrean history. Michela Wrong’s book about Eritrea and “how the world used and abused a small African nation” is a great read. She makes her subject matter accessible and, dare I say it, entertaining. Such great writing should not be taken for granted. Michela in a riveting way tackles the events leading up to the 30-year Eritrean struggle for independence, the war itself, and the way Eritrea has developed in recent years since it won its ‘freedom’. She rightly wins a ringing endorsement from John Le Carré along the way. I was struck how from a western punk perspective we have grown up on a musical diet of reggae, where it was usual to hear hymns of praise to Haile Selassie, Emperor of Ethiopia. 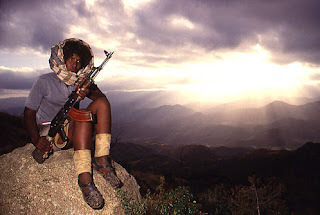 At the height of roots reggae creativity the Eritrean People’s Liberation Front (EPLF) was leading a struggle against the Ethiopian authorities which under Ras Tafari had annexed Eritrea with the tacit blessing of the West. Ethiopia and Eritrea had been freed from fascist Italy control during WW2 but the subsequent conduct of the UK and US was pretty shameful. Then Haile Selassie’s administration was overthrown by a Marxist coup, with the subsequent regime’s resistance to the EPLF being backed by Soviet military might. It is little short of astonishing that the EPLF did win its struggle in true David v Goliath fashion. Michela gently mocks the ‘true believers’ in the West who did fall under the spell of the EPLF’s idealism during its struggle. But reading sections of her book it’s hard not to become a ‘true believer’. What the fighters achieved in their Spartan mountain strongholds is astonishing and inspiring, despite being dismissed by Washington as ‘commies’ and by Moscow as irritating mischief makers. The focus on education, culture, health and equality was, for example, spot on. The fact that the revolution may not have created quite the sort of society today the freedom fighters might have dreamed of should not devalue the ideals. I think it’s in Arnold Wesker’s East End trilogy that there’s a line about how it’s people that go wrong not beliefs. The Challenge Road, the Amrit Wilson book on women’s role in the struggle, was published in 1991 when the illogical victory of the EPLF was nigh. It focuses on some of the astonishing stories women had to tell about their activities as fighters in the mountains, undercover guerrillas in the cities, doctors, nurses, technicians, teachers and so on during this revolution. It is often reported how a third or so of the fighters in the revolution were women, and there is plenty of documentary evidence to bear this out. There is also a film that was made recently called Looking For The Sun about the way women in Eritrea participated fully in the struggle. This seems ‘braver’ than confronting a macho punk crowd. Many of the clips on YouTube of Eritrean Revolutionary Songs feature the same female bass player, and many feature very powerful female vocal performances. And yet the role of music in the struggle hardly features in the books that I’ve mentioned, which from a personal perspective is frustrating. I’ve found very little on the internet on the subject, with the exception of an essay by Luwam Thomas on The Role of Music in the Eritrean Struggle for Independence. In it he writes: “One of the multiple functions was that music was also an outlet for women and played a great role in the emancipation of women.” More generally music was used for propaganda purposes, to increase political consciousness, increase patriotism, and to raise morale. The music featured in the clips, I believe, was made by members of the EPLF’s Cultural Troupe. Some of the singers are still active today. Others became ‘martyrs’, dying as ‘tegadelti’ or freedom fighters during the struggle. 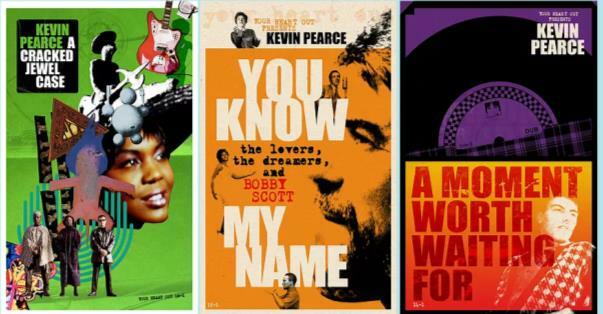 It would be fascinating to know more about how the distinctive music preserved in these film clips came to sound the way it did. There are, naturally, similarities with the Ethiopian sounds ‘salvaged’ in the wonderful multi-volume Ethiopiques series, but this is wonderful, infectious music which I dearly wish could be ‘salvaged’ in the same way. I understand a lot of these songs were issued on a series of EPLF cassettes, but I doubt many have survived. African music is very well represented on the web, but I have yet to find any of these cassettes posted. There are, however, a couple of cassettes from the Tigrean People’s Liberation Front (the TPLF – a similar organisation fighting to gain independence for Tigrea, a province within Ethiopia itself, which was for a while allied to the EPLF) which are wonderful artefacts. The other intriguing thing about these Eritrean revolutionary songs is the subject matter itself. A couple of songs are posted on YouTube, thankfully, with a little lyrical translation which gives us a valuable insight into the themes. So I will leave you with this (deep soul ballad) song by Tanki, one of the stars of our Eritrean sequence. One of the things I’ve been slightly wary of with the Anywhere Else But Here Today project is the whole world music thing. I am, shall we say, conscious that the term world music has certain connotations that are not positive ones. It conjures up for some images of deadly earnest ethnic or traditional folk sounds. For others it’s an awkwardly convenient cover-all label for music that is non-Western in origin. I don’t think what’s been included in this project can really be termed world music, even though it’s pop music from around the world. There is, ahem, a world of difference. It’s interesting I should be nervous about the phrase. It shows how labels are used against us, I guess. I can’t even remember how the phrase came to be part of the musical vocabulary. It’s like indie, in that it’s crept up on us insidiously, and is now used remorselessly. I guess it has some roots in the World Of Music And Dance (WOMAD) events Peter Gabriel was instrumental in starting back in 1982. I am allergic to festivals so I’ve never been to WOMAD, so the only thing I really know is that 23 Skidoo were on the very mixed bill for that first event, and that their performance is captured on The Culling Is Coming LP with lots of Tibetan percussion and metal bashing and eastern/industrial stength influences. That’s one approach to absorbing influences from around the world, but it’s not my favourite 23 Skidoo moment. For me the key sentence is: “In those optimisitic, pioneering days, I still believed that such music was bound for the mainstream, if it were pushed with the right combination of enthusiasm and initiative, and this seemed to be the record that might make a breakthrough.” That sums it all up for me. And Charlie, too. 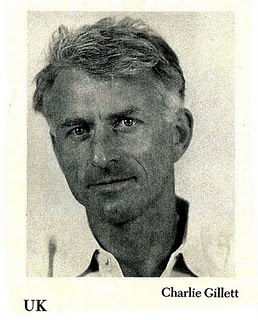 I only vaguely remember Charlie Gillett’s Honky Tonk Sunday lunchtime shows on Radio London back in the ‘70s, and I only occasionally tuned in to subsequent shows on the station’s descendents, but the man’s knowledge about and passion for the music he was playing always shone through. I would, incidentally, enthusiastically recommend the Boot Sale Sounds site where there are some vintage recordings of Charlie on the radio. Today Anywhere Else But Here Today celebrates its first birthday, and it’s a nice excuse to reflect about the past year. The remit for the project at the start was very simple: to explore the world of pop and discover hidden treasures from the past. The impetus was equally simple: disgust with the world today, particularly the one close to home. I have to confess I never anticipated I’d have so much fun, though. I did not suspect the project would prove to be such a revelation, either. I guess I made life slightly more difficult by opting only to post clips of actual performances, but YouTube has consistently proven to be a treasure trove. And the occasional supplementary mixtapes have helped to fill in gaps and add additional colour. It is a constant source of amazement that there is so much great music out there which I had no idea existed. And at the risk of being repetitive, this continues to raise serious questions about ALL existing accounts of popular culture and indeed everything else in life. I am not being self-deprecating but this project really is put together from a position of relative ignorance. I knew next to nothing about the pop music of the countries’ music before I started to explore in a consistently random and haphazard way. So all the findings posted on the site are oddly subjective, and probably not representative. But then what is? What has struck me time and time again is the way music of great beauty has been made ‘in difficult circumstances’. Much of the music has been made ‘despite’ repressive regimes of whatever hue. Certain music has successfully skipped past the censors. Some of the sounds have been made in the midst of bitter political struggles and actual wars. Other sounds have been made before political uprisings have put a stop to such cultural activities, while others still have been made following the very welcome overthrows of dictatorships. At times the sounds are straight refractions of Western sounds, while at other times the country’s own musical traditions make things more intriguing. One wonderful by-product of the project has been to learn a lot more about a country’s history indirectly through exploring its music. Greece and Uruguay are brilliant examples of where this has happened for me. Before I started investigating and becoming besotted by the pop sounds created in the ‘60s and ‘70s in these countries I was pretty ignorant about the political and cultural history and context. I keep coming back to the idea of the more you learn the more you realise there is to learn. There are times I confess when I wish I didn’t get QUITE so immersed in the exploring, but those occasions are few and far between. I did a double take while looking through the books in a charity shop the other day. It was a hardback in the Psion Humour Classics series, and I thought for a moment there the title said: The World of Simon Rivers. It’s a nice idea. He deserves to have a book to himself does Simon. For if you wanna know a little bit about life like what it’s lived you need to study the thoughts of chairman Simon. Thankfully Simon does share his words of wisdom, through the medium of song, on a reasonably regular basis. And TV Tears is the third (virtual) EP that his Bitter Springs outfit has bestowed upon us in the past year. It’s every bit as entertaining, profound, and alive as you’d hope. Yeah, alive. Because you know you listen to a lot of stuff and think what the hell has this got to do with life today? 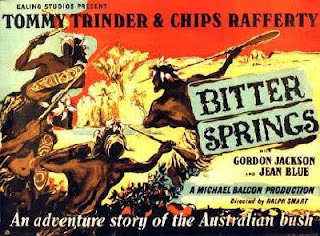 The Biter Springs have always had a unique way with their social surrealism, taking the everyday and accentuating its absurdities. It’s funny because earlier this year I started jotting down random things I overheard people saying while out shopping. I know Kenneth Williams used to get a lot of lines from listening to people’s conversations on buses. I get the same sense from listening to the Bitter Springs. Take any of their songs, and there’ll be a handful of seemingly unconnected lines that grab you and stay with you, and which seem to have been plucked unerringly or unnervingly from your own subconscious or experience. Now we just need a strapline ...“Buy the Rivers ah babbling on ... Yeah-ah we wept when we remembered Syon”. Life eh? Thankfully we’ve got the Bitter Springs and their unique brand of West London blues and roots to rouse us and brighten things up.